The title asks a provocative question: “When it comes to jury trials, should you tell a story or stick to the facts?” The piece in the “Your Voice” section of the current ABA Journal is written by Drury Sherrod, a litigation consultant with the LA firm Mattson & Sherrod. The author seems to come down firmly on the “Tell a story” side of that question. While appropriately acknowledging the importance of facts, he argues that jurors will serve as their own storytellers and will resist or recast the facts based on the narrative frame they adapt. That’s true. 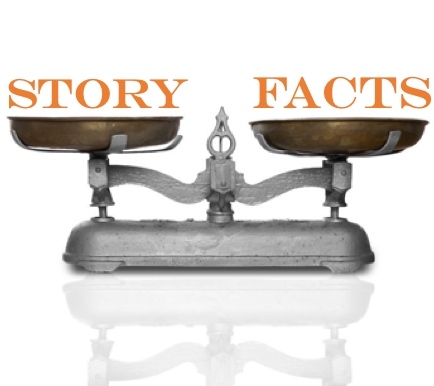 However, it is important to note that, title question notwithstanding, both facts and story are essential. The equal interplay between the two is vital, serving different roles at several stages during trial. The notion that one can have either stories or facts, or even the idea that one should prefer one over the other, is a false choice. Experienced advocates know that each one makes the other meaningful, and both are critical in different ways and at different times during litigation and trial. Broadly, the way to think about it is that the story is the pie crust and the facts are the filling. The story holds the case together but the facts are what give you the substance and flavor. Jurors need both, and a case will never be satisfying if you skimp on one or the other. In this post, I will talk about three main phases of the trial process and where the balance is on story versus facts within each. During this first stage of the play, story is center stage while the facts are waiting in the wings. The opening creates the first impression. The story previews the evidence but in broad strokes rather than in detail. During that initial stage, the jurors are not blank slates waiting for the end of evidence, but they aren’t trying to predecide the case either. In his essay, Drury Sherrod notes that “Most jurors rush to judgment,” and that is true, but it is not necessarily rush to final judgment. What is happening quickly is a decision about what kind of case this is. But jurors like to believe, at least, that they are keeping an open mind, so they’re waiting for the proof. What I think is happening in opening is that jurors are deciding on a basic framework. That framework isn’t a verdict, but is critical because it influences what they attend to, understand, remember, and use. During the next act, the facts are center stage but the story is still serving as the unifying script. The focus when witnesses are testifying and when documents are being presented is on what each side can prove and how much proof the other side can undermine. The focus is on the facts and the jury’s frame of mind is on weighing and testing the evidence. But the backdrop for all of that is the story. It is still the narrative that is telling jurors what is important and what fits and what doesn’t fit. For that reason, I agree with the advice Drury Sherrod gives in the essay to try to arrange the witness testimony so it follows your story order. At the end of the play, in closing argument, the facts and the story are both sharing the center stage like one of the Shakespeare plays that end in a wedding. The message is that, “All those facts you heard fit together into a story” or “That story you heard is supported by all of the facts.” Jurors at this point are likely to have a pretty durable sense of where they stand, but that doesn’t mean the task of persuading them is done. You still have to buttress those who are likely to be on your side and equip them to stand up to and argue against anyone who disagrees. In this way, closing can also be thought of as another kind of story: a story about how jurors will be using the facts in the upcoming deliberations.